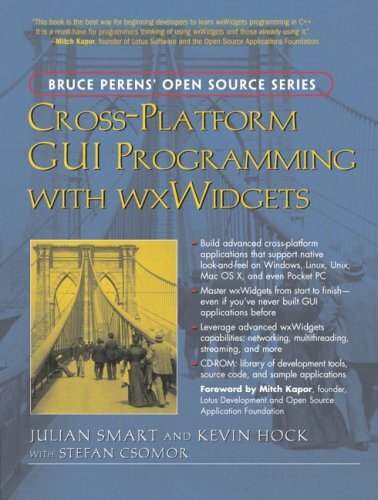 wxWidgets is an easy-to-use, open source C++ API for writing GUI applications that run on Windows, Linux, Unix, Mac OS X, and even Pocket PC, supporting each platform's native look and feel with virtually no additional coding. Now, its creator and two leading developers teach you all you need to know to write robust cross-platform software with wxWidgets. This book covers everything from dialog boxes to drag-and-drop, from networking to multithreading. It includes all the tools and code you need to get great results, fast. From AMD to AOL, Lockheed Martin to Xerox, world-class developers are using wxWidgets to save money, increase efficiency, and reach new markets. With this book, you can, too.